Shah Rukh Khan, also known by the initialism SRK, is an Indian actor, television personality and film producer. Khan is considered to be the “King of Bollywood”, and he has appeared in more than 80 Bollywood films, and earned numerous accolades, including 14 Filmfare Awards. Khan has a significant following in Asia and the Indian diaspora worldwide. As of 2019, Shah Rukh Khan’s net worth is estimated to be roughly $600 million dollars, making him one of the richest actors in the world. Shah Rukh Khan was born in New Delhi on the 2nd of November, 1965, to Meer Taj Mohammed Khan and Lateef Fatima. He received his education from the ‘St. Columba’s School’, and was an exceptional student. Khan joined the Hansraj College in 1985, where he pursued his graduation with specialization in Economics. He finished his bachelor’s degree in 1988. After joining the Jamia Millia Islamia University he decided to drop out so that he could pursue his acting career. Shah Rukh Khan began his acting career in the 1988’s television show ‘Dil Dariya’ which was the directorial venture of Lekh Tandon. A year later another series named ‘Fauji’ was launched which marked his debut in the world of television. In 2007, Khan presented a popular quiz show ‘Kaun Banega Crorepati’, and he was also the presenter of a few more television shows such as ‘Kya Aap Paanchvi Pass Se Tez Hain?’and ‘Zor Ka Jhatka: Total Wipeout’. The following year, Khan performed as one of the cast in the film ‘Rab Ne Bana Di Jodi’ which he gained huge attention for. His movie ‘My Name Is Khan’ was released in 2010, and became one of his best movies. The movie went on to shatter box office records overseas. During 2011 and 2014, Khan starred in movies such as ‘Ra One’, ‘Don 2’, ‘Jab Tak Hai Jaan’, ‘Chennai Express’ and ‘Happy New Year’. As of 2019, Shah Rukh Khan’s net worth is $600 million dollars. View our larger collection of the best Shah Rukh Khan quotes! We hope and pray for good to happen in our lives. But even the higher power only works for you if you work for yourself. So if you have to believe in something, believe in hard work. As dawn follows dusk, clarity follows confusion. As Tony Robbins says, the only problem people have is they think they shouldn’t have problems. Problems call us to a higher level. J.K. Rowling had lost everything at one point in her life. There were days she wouldn’t eat so her daughter could eat. But that dark period made her seek happiness in her creative works. And that culminated into one of the best fiction novels ever written in history. Shah Rukh Khan is one of the leading stars of the Indian film industry, and he is considered to be one of the greatest actors in the world. He is often referred to as the romantic icon of Indian cinema, and he has many nicknames such as ‘King Khan’ and ‘King of Bollywood’. As of 2019, Shah Rukh Khan’s net worth is approximately $600 million dollars. 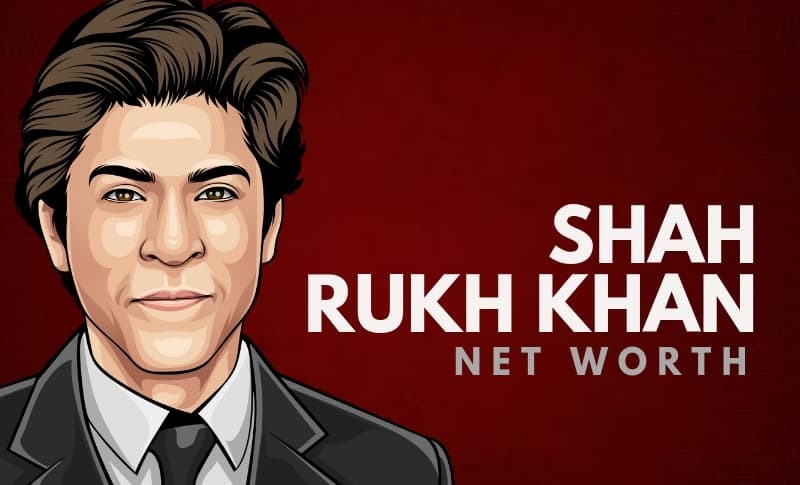 What do you think about Shah Rukh Khan’s net worth? Leave a comment below.